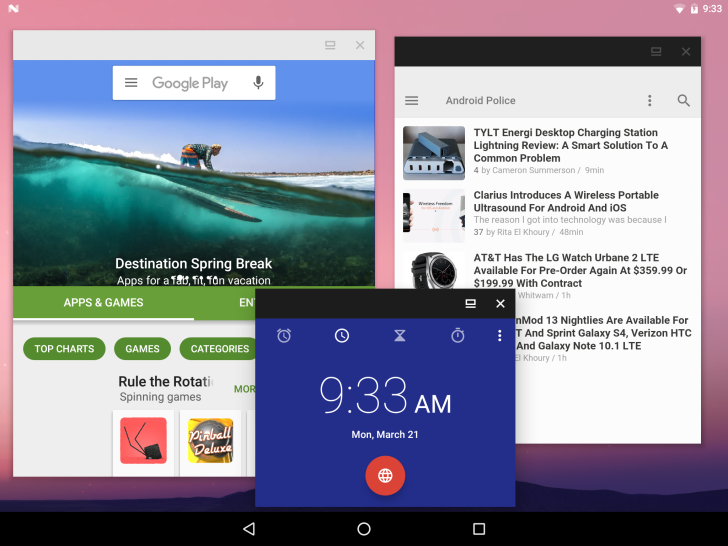 Google's documentation for Android N does mention freeform mode, saying that makers of larger devices can enable it, which suggests Google's intention is to have freeform available for Android N.
Android N is finally making multi-window mode a reality on Android, but the included features are somewhat limited. 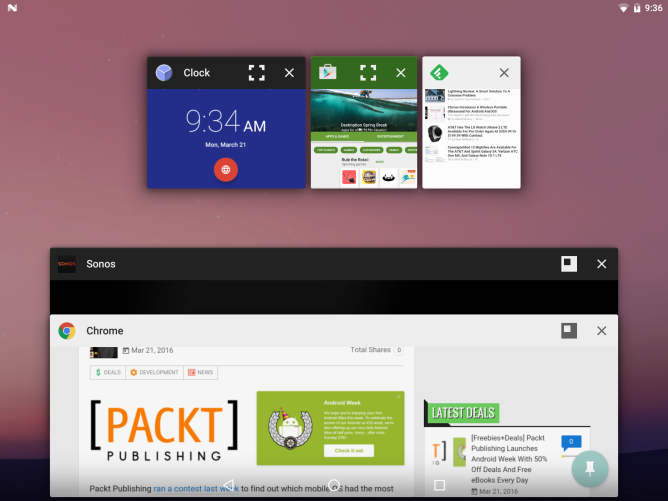 There's support for split-screen apps, but what about true resizable windows a la Remix OS? That's possible too, but this feature seems much more rough around the edges. It also takes a little monkeying around to enable. 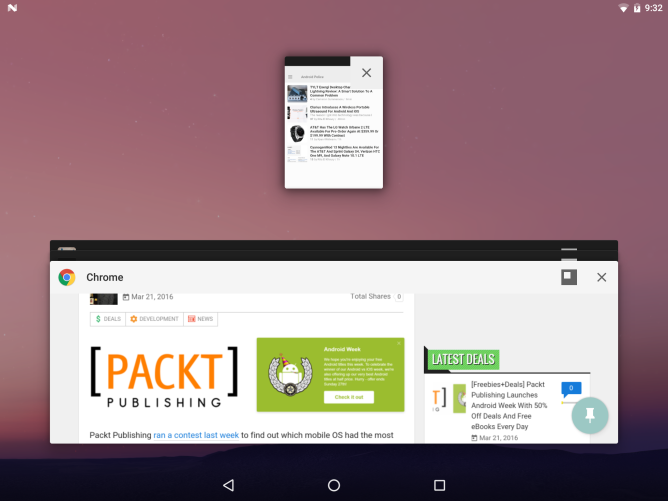 We've tested this in both an emulator and on a Nexus 9 running the N preview. 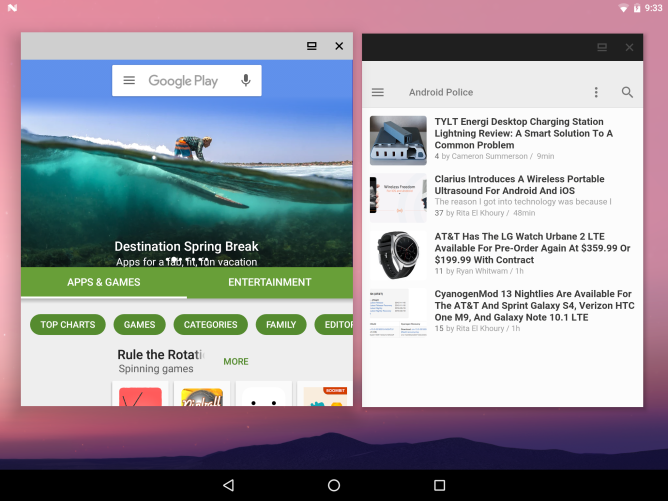 It works, but any changes you make to a device will probably break future OTAs. You'll have to undo these changes or flash the image to update. Also, you might break allthethings.jpg. You've been warned. Install a custom recovery like TWRP and boot into it. Then mount the system as read-write and open an ADB shell. Reboot into Android, then open another ADB shell. If you go to the trouble of enabling Freeform windows on Android N, there will be a new button on all of your overview cards next to the X. Tap that to enter Freeform mode. You get a blank background with your app in a resizable window. The title bar can be used to drag it around as well. To open another app, you can tap the overview button and select an app to add it to the windowed UI. Your windowed apps are also shown as small thumbnails at the top when you have the recent apps list up. This mode is clearly lacking polish, even for a developer preview. That's probably why it's not turned on yet. You can only resize in one dimension at a time, and the title bars take up a ton of space. Apps also don't like to run continuously in Freeform mode—Chrome tabs reload and YouTube won't keep playing when you go to another window. It's tough to keep track of apps too. Open more than a few things and you'll start losing windows as there's no taskbar or dock to keep things straight. Freeform mode is a very interesting feature, and it would be nice to see a finished version of it in time for the final N release. However, I think this might end up being an addition for Android O.
Google's documentation for Android N does mention freeform mode, saying that makers of larger devices can enable it, which suggests Google's intention is to have freeform available for Android N. It still seems like it has a long way to go, though.